A petite oval pendant with embedded silver plated bail with swirls of black and pale pink with flecks of silvery metal leaf. 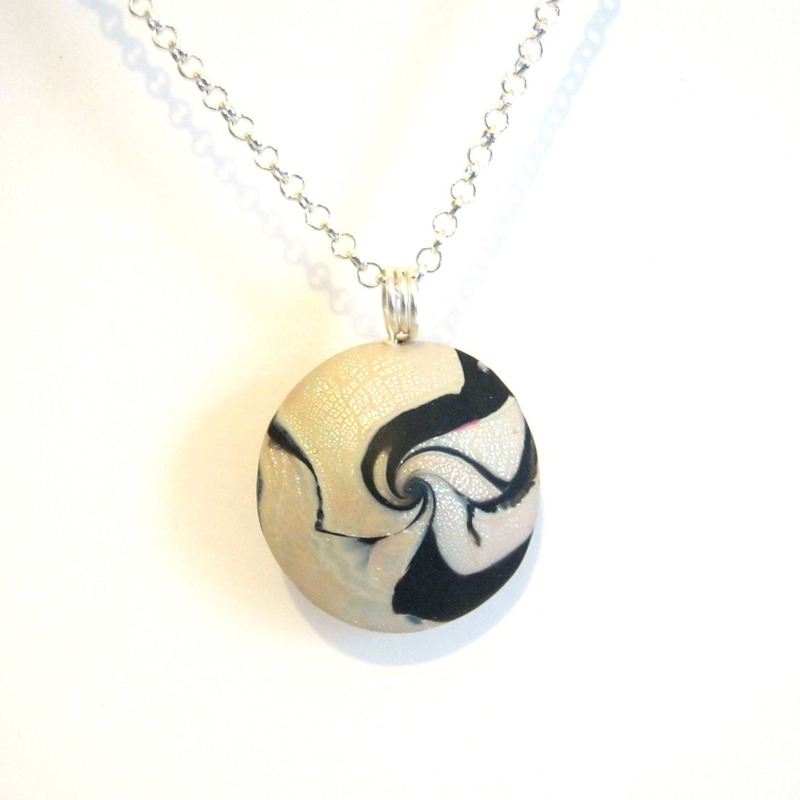 Pendant measures approximately 1.5 inches tall by 1 inch wide. Your choice of chain lengths.